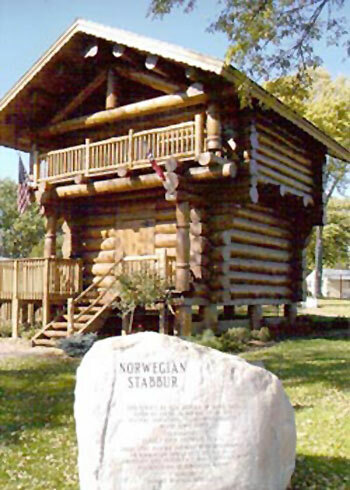 Minnesota Logworks, Inc. provides log building restoration and consulting services throughout the state. With over 20 years of experience in the log home building business, I’m familiar with different log building techniques and the maintenance that log structures require. I am also skilled in log home repairs and restoration. Every individual considering buying or selling a log home should have their building evaluated. I provide consulting services, informing you of the overall condition of the log structure, pointing out any damage or decay as well as providing repair recommendations. Contact me if you are interested in log cabin consulting, or log home repair or restoration. In addition to repairing log homes, I enjoy creating handcrafted log furniture and log accents that can be implemented in any home. Beams, posts, railings and staircases can add tons of character in any building. For a minimal investment, log fireplace mantels are a very popular choice to bring in that warm cabin feeling. Take a look at my work!